The highlight for me has been the cub night pinewood derby car racing, members will recall that they asked the woodworkers to spend a night assisting the cubs cut out their cars out of a pinewood block, the cubs took their cars away and painted them up and put the wheels on them. 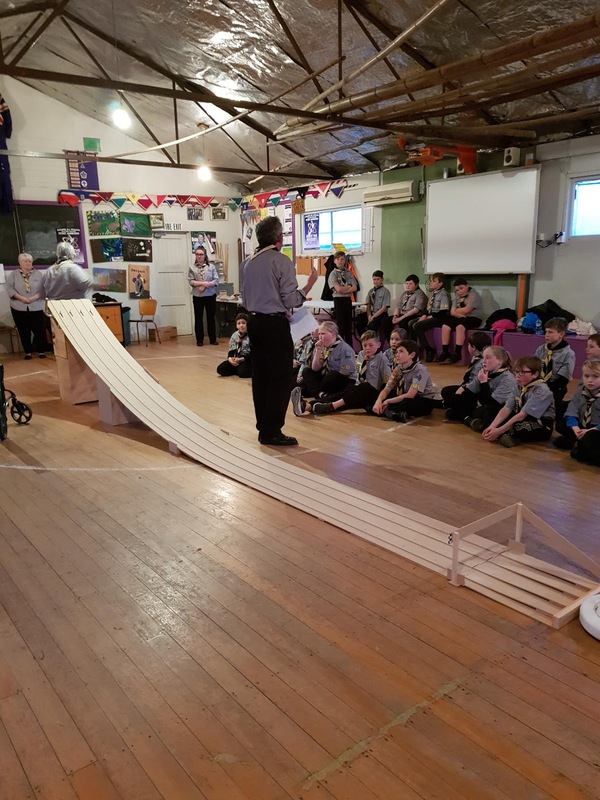 We made a track that consisted of a 4 lane track where the cars straddled a lane – in other words so they couldn’t jump off the track – or that was the theory. We also designed a starting gate where all 4 cars would be released at the same time. This was done with a dowel rod and a PVC corner piece for a handle and rubber band springs so it always returned the starting gate to the start position. This worked very well. 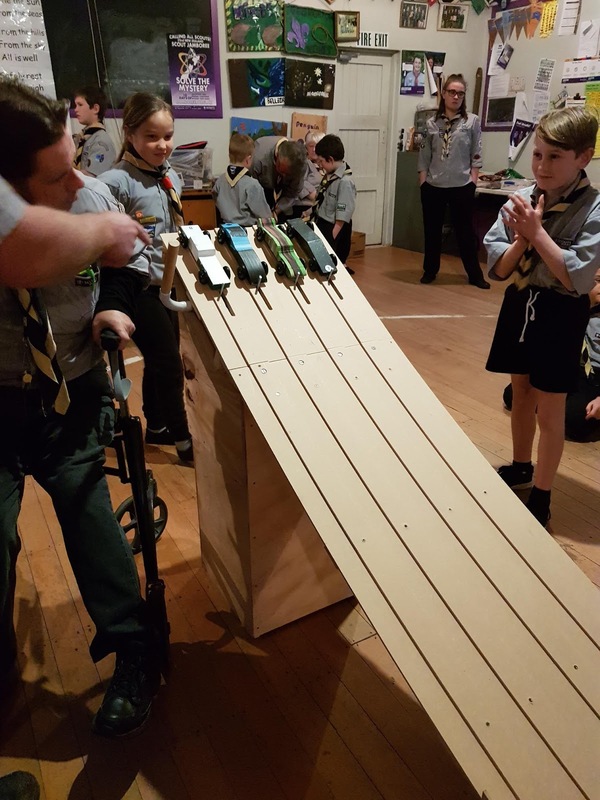 The track was made from 4mm MDF and was 4.8m long with a finish line and a slowdown area for the cars. The car racing night was great fun with a lot of races for the cubs and there was only about half a dozen crashes but that’s what happens when you don’t put the cars on the track correctly. I entered our car - the wood express in the leader’s races and you will all be happy to hear the honor of the wood workers was upheld by wins every time. Obviously the testing of the track and the car had some benefits.